Although they were born forty years apart on opposite sides of the world, Edvard Grieg and Percy Grainger have much in common. The aim to become pianists and composers more or less forced both of them to leave their native countries – Norway and Australia respectively – in order to gain access to the great central European tradition that so dominated musical life during the second half of the 19th century. Grieg enrolled at the Leipzig conservatory in 1858 and Grainger at the Hoch Conservatory in Frankfurt in 1895, but their experiences were in many ways strikingly similar: both made progress as pianists, but neither of them found the German approach to the teaching of composition fruitful. Grieg’s strong attachment to Norwegian folk music made it difficult for him to compose in a way that conformed to the Germanic ideal, while Grainger some forty years later withdrew from the composition class at the conservatory in order to study privately. He too would find his greatest inspiration in folk music traditions, as exemplified in La Scandinavie for cello and piano, a suite of arrangements of Scandinavian folk songs. The two composers met in 1906, in London, and not surprisingly they got along famously. The meeting led to Grainger visiting Grieg in Bergen the following year, only two months before the older composer passed away. 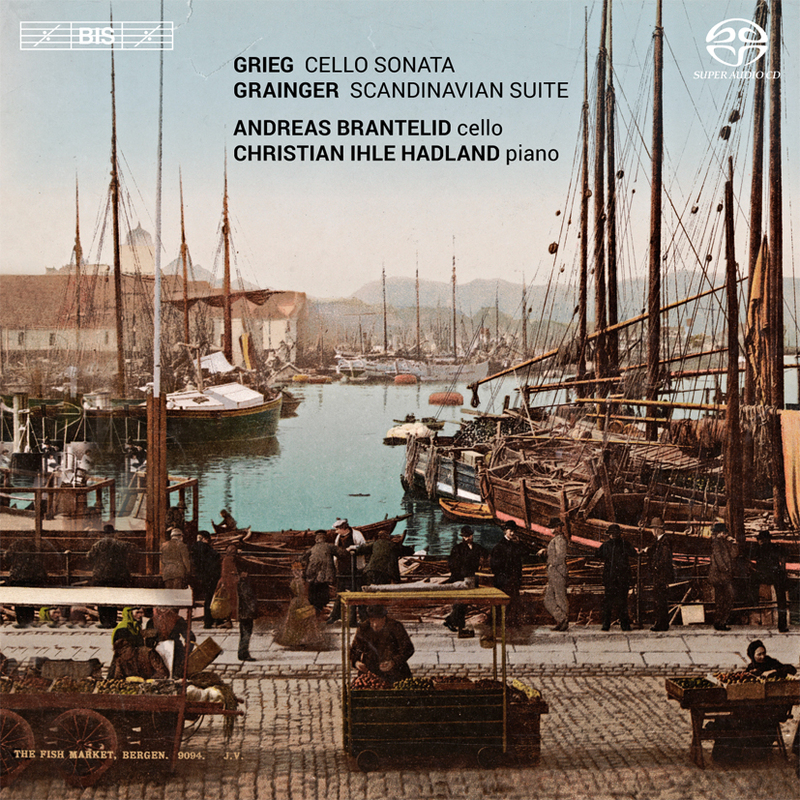 The Danish-Swedish cellist Andreas Brantelid and his Norwegian chamber music partner Christian Ihle Hadland have teamed up in this programme of cello works by the two composers, opening with Grieg’s celebrated Cello Sonata. 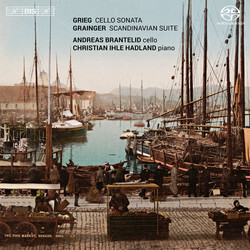 They also include less well-known pieces, however, such as the composer’s arrangement of the Allegretto from his third violin sonata, and an Andante con moto intended as part of a never completed piano trio, in which they are joined by the violinist Lars Bjørnkjær. Discovered after Grieg’s death, the piece would have to wait more than 70 years before receiving its first performance.